Good carbs; who would’ve thought such a thing could exist? Given that carbs are demonized as the cause of all weight-gain in most fitness circles these days, I completely understand if you’re suspicious of the term good carbs, but it’s true: there are good carbs out there that don’t make you put on weight. In fact, these good carbs help you burn fat. Science tells us this, and I also know from experience. Look at me; as you can tell, I’m a very lean guy, but I do eat carbs. They don’t make me fat. Instead, they help keep me trim. It’s all because I’m eating the right amount of good carbs (and I’m eating them at the right time). The first thing you have to understand is that not all carbs are made the same. When you think of carbs, you’re likely thinking of muffins, bread, pastas and cereals. What you might not realize is that many fruits, vegetables, beans and legumes are carbs as well: good carbs. You should absolutely be eating plenty of these good carbs to maintain a healthy and nutritious diet. 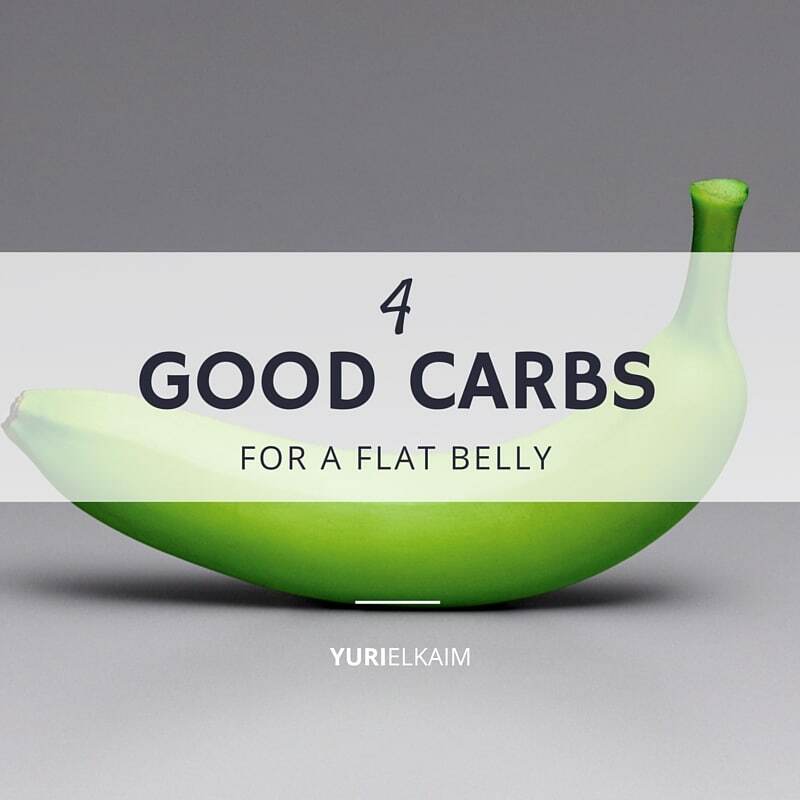 If you’re still in disbelief, let me share four of my favorite good carbs with you. Some of them are pretty controversial, but I guarantee they’re some of the healthiest foods you could be eating. Bananas get a lot of flack for being extra sweet and a source of a lot of sugar. The secret is all in how you eat them. As bananas ripen, they become more yellow with dark blotches on them. When this happens, their natural levels of sugar increase. 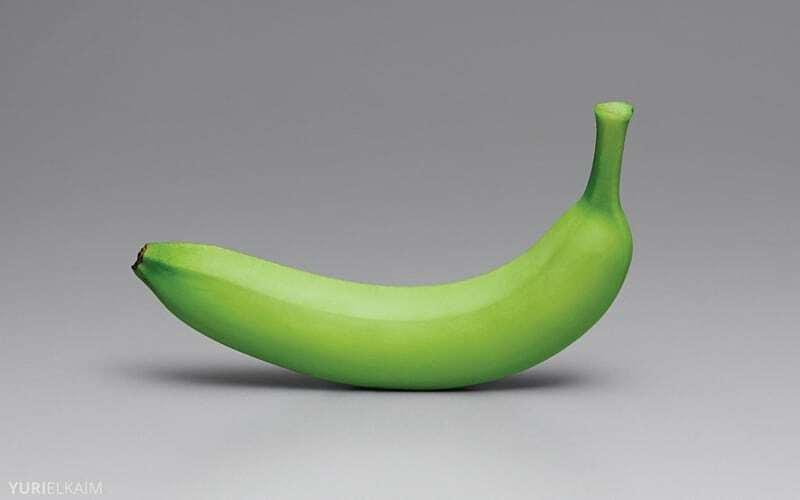 However, when a banana is unripe, it contains a higher amount of a specific type of resistant starch. Resistant starch is a type of starch that your body does not digest; it doesn’t absorb it into the bloodstream, which means it doesn’t impact your blood sugar in a negative way. There are four different types of resistant starch. I’m not going to bore you with the science, but let me tell you this: Resistant starch is food for your good bacteria, and one of the by-products of the breakdown of resistant starch is butyric acid. Butyric acid, if you’re wondering, is one of the most important short-chain fatty acids for healing your gut. Why does that matter? Well, your gut is your body’s command central, along with your brain. If you want to lose weight, you have to address what’s happening in your gut. If you want to improve that, in addition to taking a good probiotic, for instance, you want to be feeding those good gut bacteria, with prebiotics, or food for the bacteria. Unripened bananas, with their high levels of resistant starch, are a great source of food for those good bacteria without impacting your belly, your waistline, or your blood sugar in any way. This is probably a shocker. Yes, white potatoes are good carbs. Yes, you can eat them. The thing is, you shouldn’t eat them as you normally would. For example, if you cook and mash them up, they’re generally higher glycemic, meaning they’re going to spike your blood sugar a little bit. They aren’t the best thing for diabetics to be eating. However, if you cook them and put them in the fridge to cool, what happens is an expansion of resistant starch inside the potato. There it is again, that resistant starch. Notice a pattern? If you’re wondering how you can pull this off and still enjoy those potatoes, look no further than a healthy potato salad. There’s a recipe I follow that’s one of my absolute favorite things to eat. It’s delicious, and I don’t feel guilty when I eat it because I know I’m healing my gut in the process. 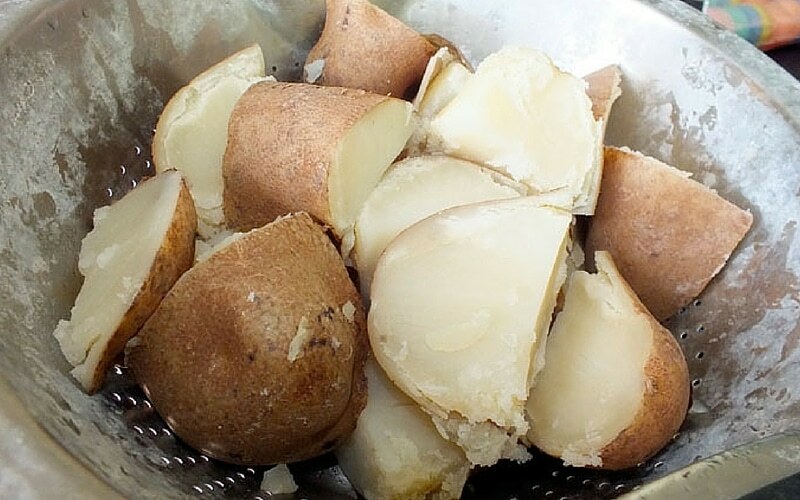 If you’re game to try something a little different, you can also use raw or unmodified potato starch, which you can find in your health-food store. Mind you, it’s not the same as potato flour. It’s actually quite different. To make good use of it, you want to add a tablespoon into a glass of water or your smoothie and that’s it. If you feel a little bit of gastric distress, that’s okay; that’s what has to happen. It takes about one to two weeks for your gut to readjust and get used to these prebiotics that are very, very good for you. Most of us don’t get enough fiber or these types of prebiotics, so when we start eating them, our body goes into a bit of shock. If this happens, lower the dose, and increase it slowly. If you haven’t figured out by now, gut health and weight loss are intertwined. That’s why a healthy dose of good bacteria in your gut is massively important for helping you lose belly fat and overall body fat. I’ve talked about this before, but just one example is if you have too much bad bacteria in your gut, they will spew out lipopolysaccharides, which are dangerous toxins that have not only been shown to increase the size of your fat cells, but create new ones. I don’t want that, and I hope you don’t either. A healthy gut is really important. Anything that ends in -berry is amazing for you. You can throw cherries in there as well. 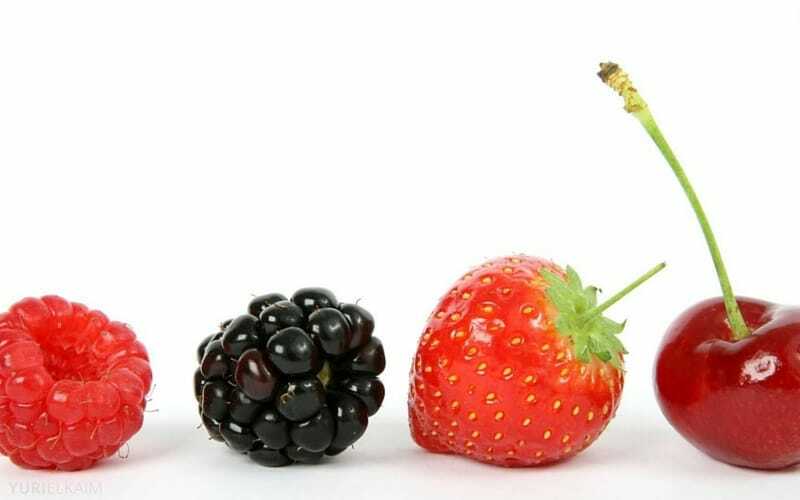 Berries and cherries are very low-glycemic index fruits, they’re not going to spike your blood sugar, and if your blood doesn’t get spiked, then insulin is not going to be released in high quantities. That’s good because insulin is a storage hormone, and if you have too much of it, it will take the sugar out of your blood and store it in your fat cells. As you might imagine, that’s not a very good thing. Anything you can do to mitigate the insulin response will be very important for your ability to lose weight and keep it off. That’s why berries are one of my top fat burning foods. In addition to being low on the glycemic index, these good carbs are also very high in antioxidants. They’re a must-have food category in your kitchen. Many people who follow the paleo diet are staunchly against legumes, claiming that they make you gain weight. I’m happy to inform you that the anti-bean brigade has it all wrong. 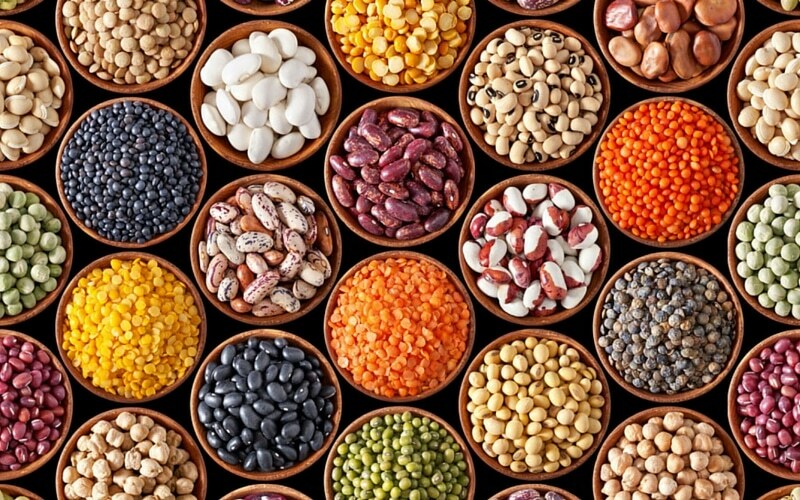 Yes, legumes may make you a bit gassy or give you a bit of a tummy upset sometimes, but it’s all very similar to resistant starch: There’s a good amount of fiber in here—oligosaccharides and stuff like that—that your body’s not necessarily used to. However, the research conclusively shows that increased intake of legumes and beans decreases our risk of cardiovascular disease. Most importantly, for our concerns, they also help you lose weight. If you’re looking for a great source of good carbs, legumes do the job really well as they’re also packed with fiber and protein—one cup of lentils alone is going to give you 16 or so grams of protein. That’s a great meal right there. What I love about legumes is that they’re so versatile. You can add them into a soup, stew, chili, eat them on their own or have them as a side. They’re a tremendous food type that you should be eating more of. I hope this has helped you see the light on good carbs. Not all carbohydrates are evil, and the ones I’ve listed certainly won’t make you gain weight. They’ll actually help you lose it! Why are carbs good for you? Carbs are good for you because they play an important role in energy production and help maintain proper thyroid function. When carb consumption is dramatically reduced over several days, thyroid function and thyroid hormones plummet. As a by-product your metabolism slows down and you feel lethargic and have trouble keeping off the weight. What good carbs can a diabetic eat? Any complex carbs rich in fiber and low on the glycemic index will be great for diabetics. Apple, pears, berries and pretty much all vegetables are great. Legumes like lentils, beans, and chickpeas are terrific as well. Non-glutenous grains like quinoa can be good substitutes for traditional grains. What are good carbs to lose weight? Similar to the diabetic carbs really. Any carbs that don’t spike your blood sugar will be helpful for weight loss. The list I gave in the previous question is all you need. What are good carbs to eat when working out? In general, the bulk of your carbs should really come after your workout. The reason for that is that’s when your muscles are most receptive to the uptake of glucose (the primary building block of carbohydrates). Thus, right after an intense workout is the only time where you may want to consider having higher glycemic carbs like dates, grapes, or even a fruit juice. These will help refuel your muscle and liver’s stores of glycogen (stored carbohydrates) and improve your recovery. Additionally, any of the “good” carbs that I mentioned above will be good in your overall diet. How much good carbs per day? This is an interesting question and it really depends on how active you are. As you know, I’m not a fan of counting calories or fussing about grams, however I’ll give you 2 tips. On a low carb day (which you can use strategically once per week) I would recommend keeping your net carbs (total carbs minus the fiber) below 50 grams. This will prompt your body to rely more on fat for fuel. On regular eating days, where carb intake is more liberal, anywhere from 100-200 grams is suitable for most people. If you’re extremely active (and I’m talking intense workouts 5-7 days per week), you can get away with close to 400-600 grams of carbs per day.